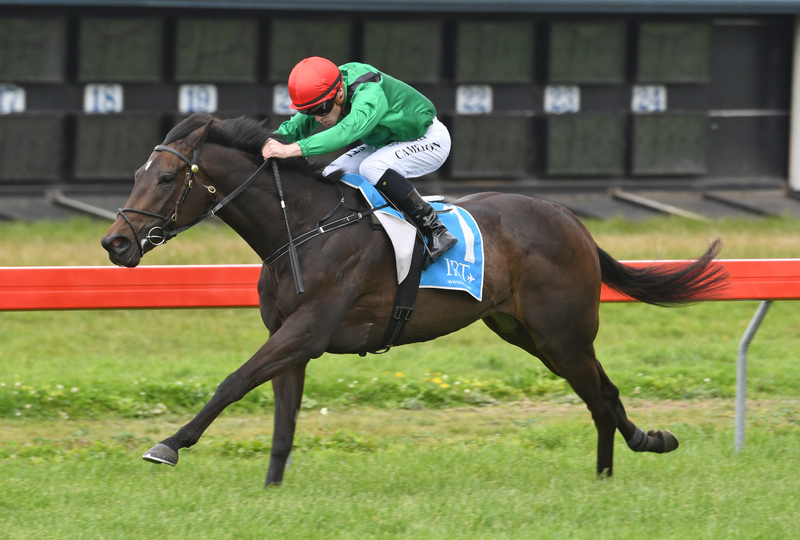 Talented Te Awamutu trainer Joe Waldron is set to relocate to Victoria at the end of the month. The 26-year-old has made a favourable impression in his 18 months training in his own right, sending out seven winners from his small team, while enjoying good success rejuvenating older tried gallopers. Waldron, who has worked full-time with horses since the age of 17, was in the New Zealand High Performance Eventing Squad before switching his focus to thoroughbred racing. He rode trackwork for Murray Baker and Andrew Forsman and took a full-time role as travelling foreman for the champion trainers in 2015, looking after the likes of Mongolian Khan, Turn Me Loose, Jon Snow and Bonneval. “I’ve had a fantastic start to my training career and been fortunate to have strong support from some great owners,” Waldron said. Waldron will move into stables at Mornington and will gradually build up his team of staff and horses but has been delighted with the response of his owners. “Probably 90 per cent of the horses in the stable are owned by Melbourne or Sydney based clients and a lot of them had expressed interest in having their horses in work in Australia to take advantage of the better prizemoney,” Waldron said. “We’ve secured 40 boxes at Mornington, which is about an hour out of Melbourne. It’s a lovely stable block about 300m from the course which is a perfect location. Waldron said the proximity of Mornington to other prominent provincial and metropolitan courses meant it was an ideal base. “We looked at a few places, but the training facilities at Mornington are top class and not being too far out of the city was important,” Waldron said. The talented horseman will have some quality stock to work with as he joins the competitive Australian training ranks. “Probably the headline act will be Mission Hill, who we’ve had for a touch over six weeks,” Waldron said. “He’s not far off a trial or a jump-out. He had a pretty busy three-year-old campaign, with the Derby here and in Australia. The owners were keen to give him a relatively light spring and aim towards Sydney in the autumn. “We’ve picked out a race like the Villiers (Gr.2, 1600m) that could be a good late spring or early summer target and then we can focus on the autumn. “I’ll bring over Princess Dillon and if she continues on an upward spiral she could head towards a race like the Adelaide Cup (Gr.2, 3200m). Waldron will also have progressive four-year-old Flying Feet come over at a later stage. Waldron said he was still in the throes of organising his staff. “There has actually been quite a bit of interest from some younger people here in New Zealand that are keen to experience Australia, so hopefully once we’re set-up over there a few of them will come over,” he said. While Waldron is not expecting to have runners until summer, he said there was a possibility of a precursor of things to come. “I’ve nominated a three-year-old filly called It’s The One Thing for the VRC Oaks (Gr.1, 2500m),” Waldron said. 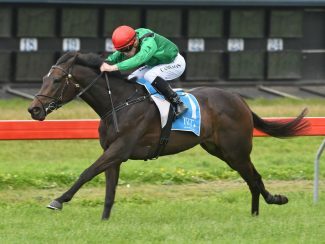 “She’s still a maiden and it might come around a bit too soon, but she looks like a nice staying type and if she can break her maiden in New Zealand in the next week or ten days, then she might head over and have a crack at a couple of the three-year-old fillies races like the Ethereal (Gr.3, 2000m) or the Wakeful (Gr.2, 2000m) and see if she can earn a place in the Oaks. “If she does, she will be the first of mine to get to the races over there, but I don’t expect to have many runners until summer. Waldron is looking forward to being reacquainted with the Australian racing scene. “At one point during a 12-month period I spent nine months in Australia for Murray and Andrew, based in Sydney, the Gold Coast and in Melbourne,” Waldron said. “Whether it be jockeys, trainers or administrators, everyone is so professional there. It is no surprise that racing there is going from strength to strength and this is a great opportunity.